For the 10 of you that can effortlessly put on a screen protector on your smartphone with ease, you can bypass this post. For everyone else, we’ve got the answer to your unsteady hands, the PureGear Glass Screen Shield with Perfect Alignment Tray for Samsung. Whether you’re always having issues applying your phone’s screen protector or doing it for the first time, this is what you need. Say goodbye to bubbling, uneven applications, and bits of dust that always seem to get stuck to the sticky side of your screen protector. This glass screen shield makes applying your screen protector as easy as counting to three. 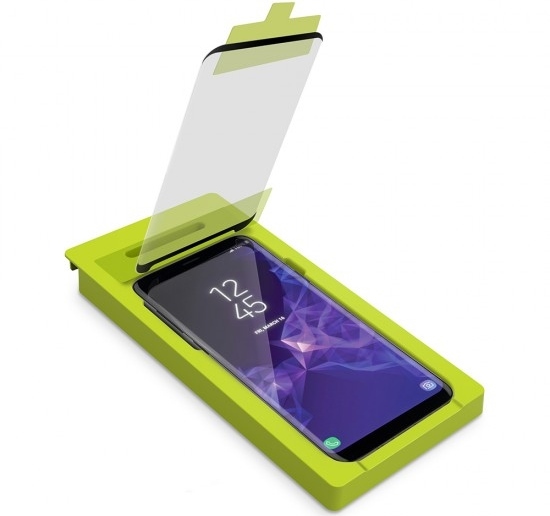 Made just for the Samsung Galaxy S8, S8+, S9, and S9+, the PureGear Glass Screen Shield features curved tempered glass perfect for the curved screen of the Samsung Galaxy. The tempered glass is scratch resistant, precision engineered for touch and swiping boasts high clarity, and is unmistakably easy to install. Thanks to this great smartphone tool, you’re left with a bubble-free, case fit-friendly device that retains its high definition screen. PureGear provides premium quality products at an affordable price; and for the first time in a long time, our screen looks as ever; plus, we’re not losing touch sensitivity. Don’t have a Samsung smartphone? The PureGear Glass Screen Shield with Perfect Alignment Tray is also available for iPhone, Motorola, LG, and Google devices. PureGear also has screen shield options for blue light protection, extreme impact protection, and anti-glare. 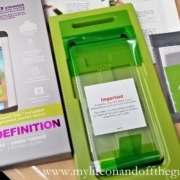 They are the go-to for what you need in screen protection and mobile device accessories. 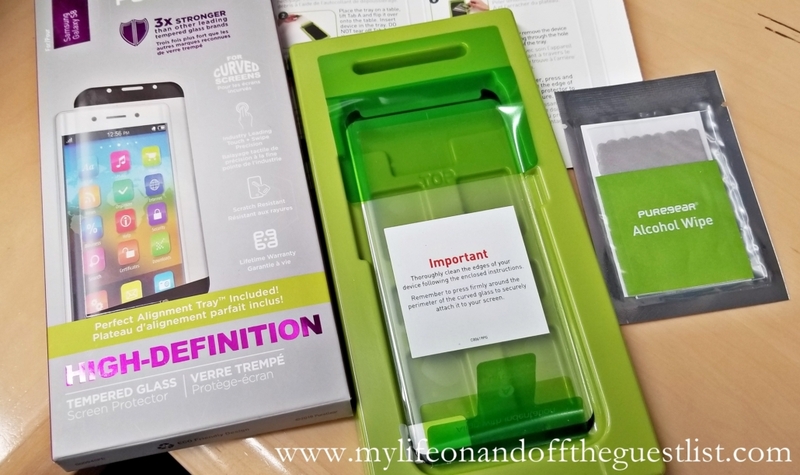 What are your thoughts on this screen protector from PureGear? Could mobile device use some extra protection? The PureGear Glass Screen Shield with Perfect Alignment Tray, which retails for $44.99, is available on www.pure-gear.com, www.walmart.com, and www.jet.com. 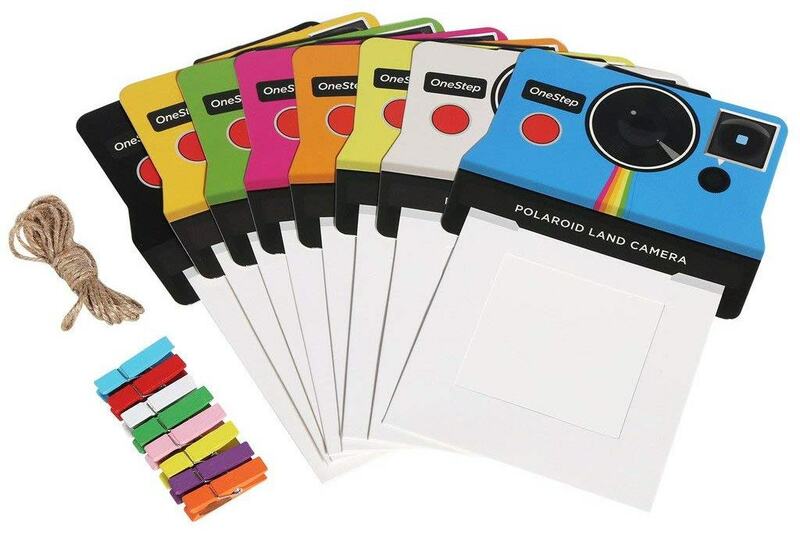 Remember the days of waiting for your Polaroid pictures to magically develop? 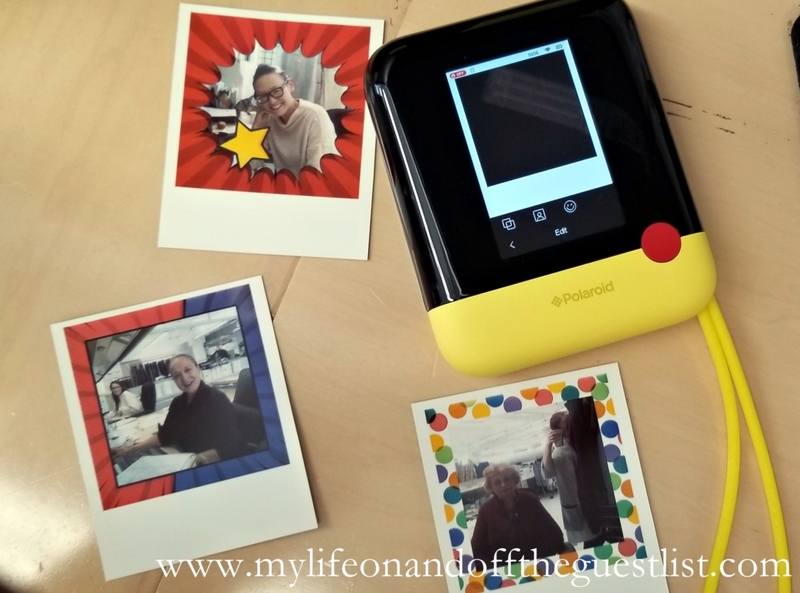 While those days of shaking your Polaroid pictures are long gone, you can still experience the magic of instantly seeing your photos develop, but with a digital spin. 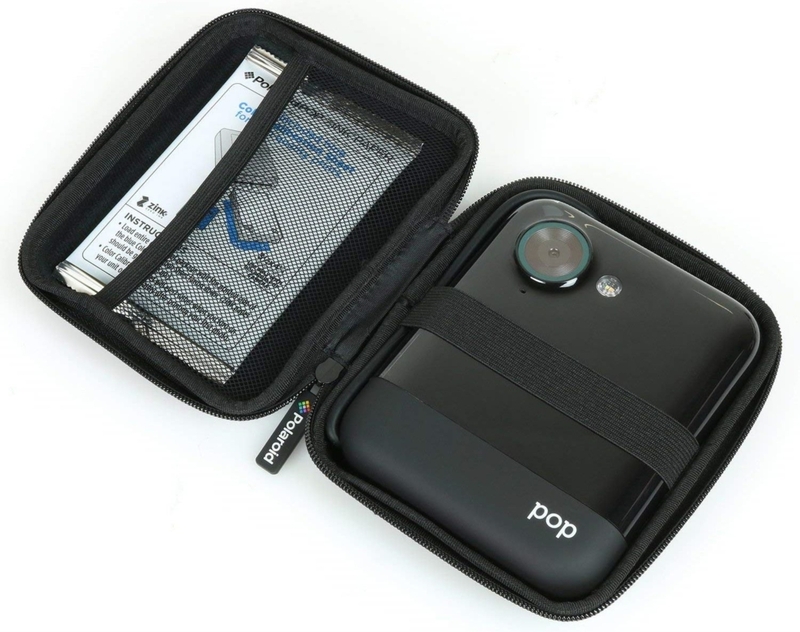 The Polaroid Pop instant digital camera boasts a touchscreen display that makes it ideal for capturing all of your favorite moments in the 3.5 x 4.25″ instantly and with the Polaroid border format you grew up to love. 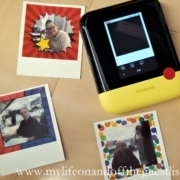 We love that combination of the modern digital technology and the old school Polaroid technology. 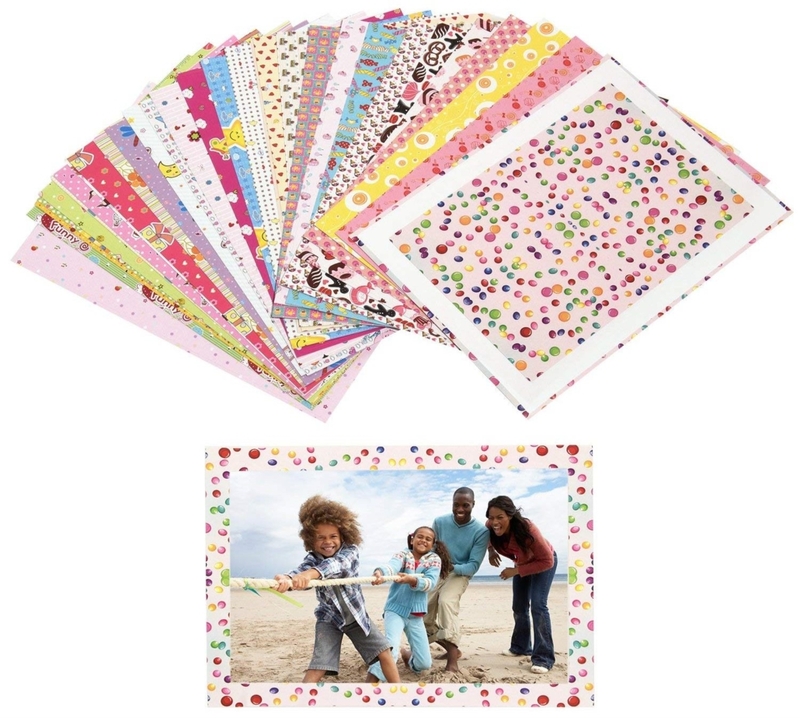 So just as before, all you have to do is just pose, snap and print your pictures — no computer or printer required! 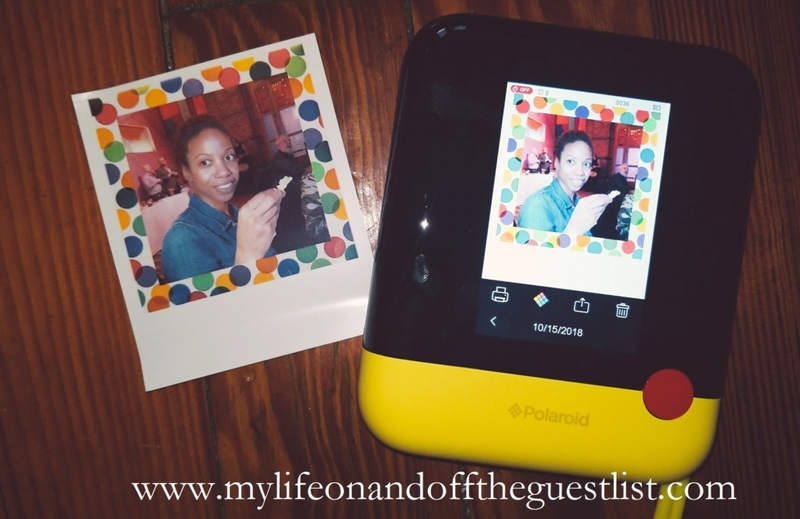 What are some of the features you can enjoy with the Polaroid Pop Instant Digital Camera with TouchScreen Display? 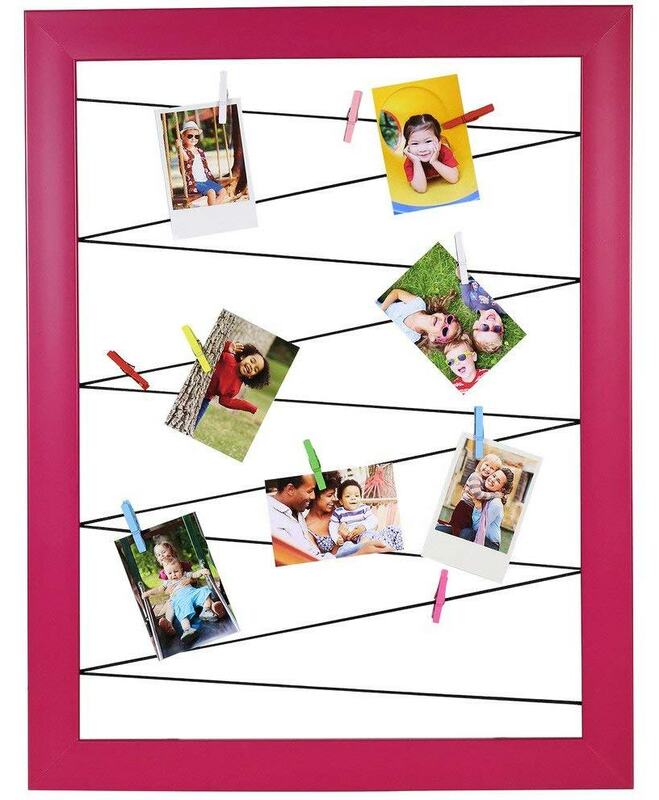 This great holiday gifting gadget features ZINK Zero Ink technology for instantly printing photos; a 3.97” color LCD touchscreen display (as you can see above); a 20.0-megapixel CMOS sensor, a Live Edit mode to personalize your pictures with various filters and stickers; the ability to edit, rotate, crop and draw on photos in Gallery; 1080p/720p full HD video recording capability; 15-second GIF recording capability to create your own gifs; Wi-Fi capability and a Self-timer; and even a photo-booth mode and digital zoom. Your photos and videos can be kept on microSD, microSDHC and microSDXC (up to 128GB) and boasts a free Polaroid Print App for iOS and Android. 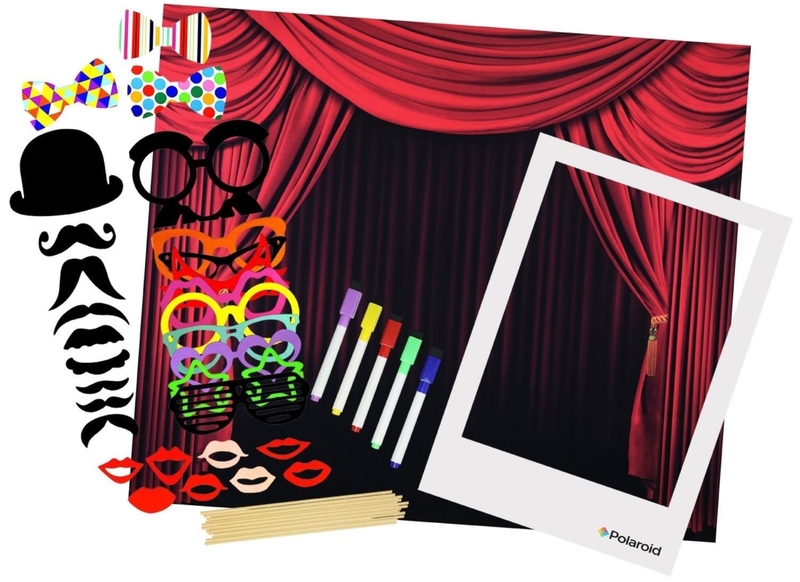 The Polaroid Pop also boasts some great coordinating accessories which I’ve highlighted below. 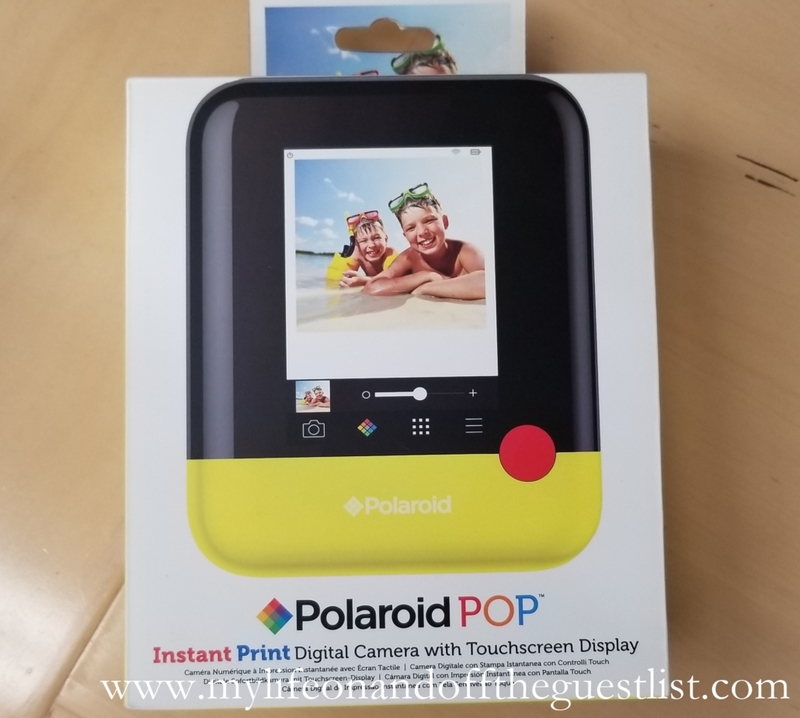 The Polaroid Pop Instant Digital Camera with TouchScreen Display comes in six colors – yellow, black, blue, mint green, pink, and white. It retails for $199.99 each on www.amazon.com. Now that you’ve seen its modern update, what are your thoughts on the update of this iconic camera? We have been on a face mask roll lately and our skin is loving it. 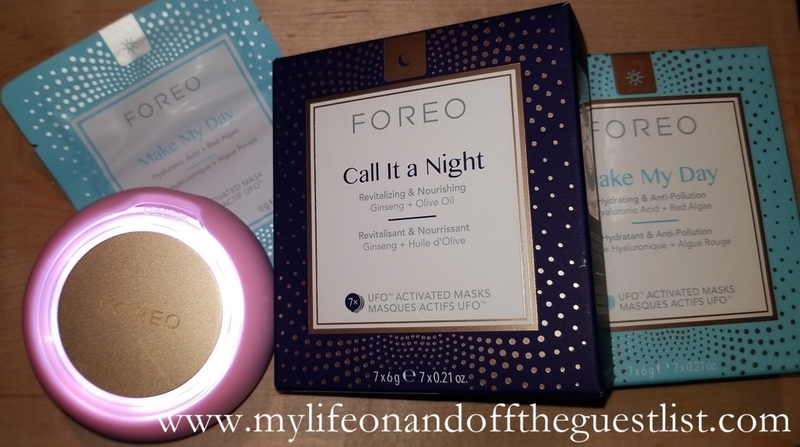 This time around, we’re getting a lot more technological as we try out the Foreo UFO, the sophisticated smart mask. 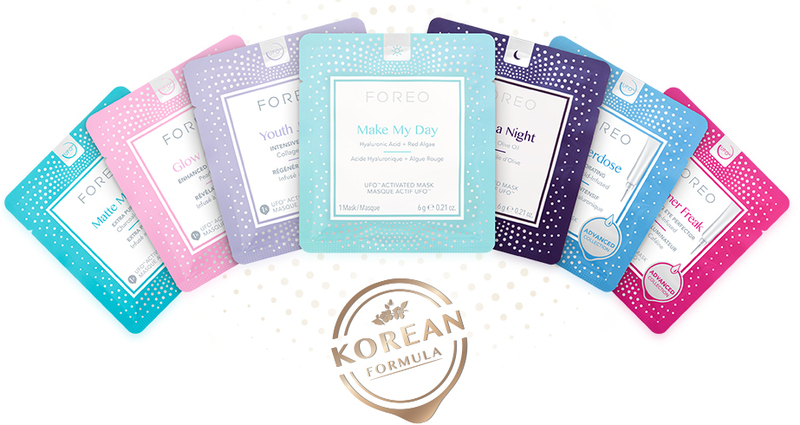 This smart, blue tooth-enabled facial mask combines groundbreaking hyper-infusion technology with innovative K-beauty formulas for a complete facial treatment in 90 seconds. 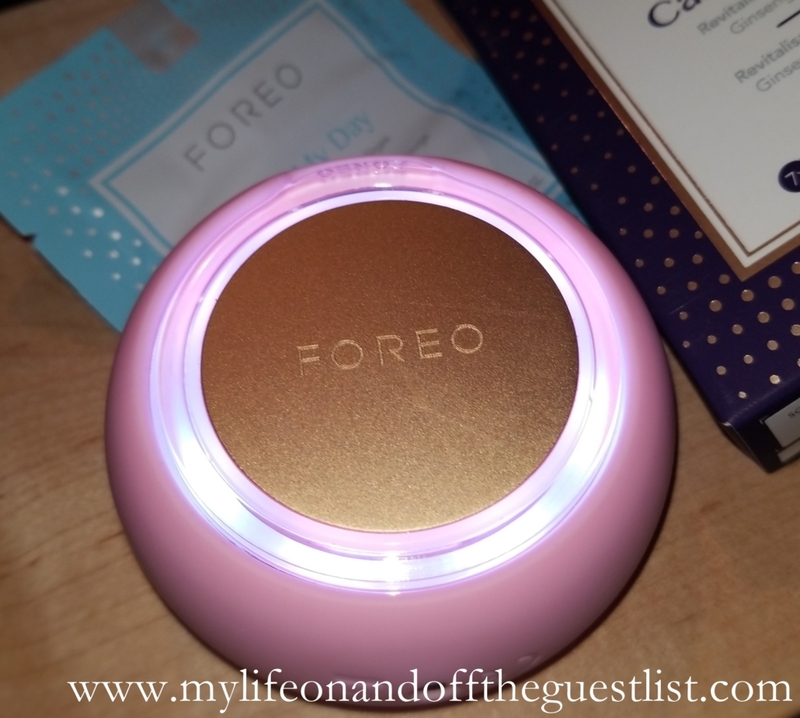 You may already be familiar with and enjoyed some of Foreo’s innovative beauty tech devices, the Foreo UFO will also win your beauty-loving heart. UFO integrates thermo-therapy and cryo-therapy to push the mask’s essence into the skin’s surface and lock in moisture while reducing the appearance of pores. T-sonic pulsations gently massage mask essence into the skin, while full-spectrum LED light therapy completely rejuvenates skin—unveiling a refined, radiant complexion. 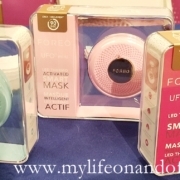 It was lust at first sight and love at first use of the Foreo UFO Smart Mask at Pepcom. We relished indulging in this groundbreaking beauty tech device and transcendent smart mask treatment. As previously hinted above, the Foreo UFO combines advanced dermal technologies with exclusive Korean mask formulas for a decadent facial treatment in seconds. 90 seconds is all you need to enjoy the full benefits of this smart mask device. You’ll love everything about this innovative beauty device that will help to transform your skin’s complexion and give you a spa-worthy facial. We certainly do! The Foreo UFO offers a range of UFO-Activated, single-use masks and expert routines, optimized for specific skin care benefits. The individually wrapped mini sheet masks include Make My Day, Call It a Night, Matte Maniac, Glow Addict, H2Overdose, Shimmer Freak Eye Mask, and Youth Junkie. They are available in a box of seven per box for $9.99. We started off with the Make My Day mask, a lux red algae and hyaluronic acid face mask that left our skin looking and feeling hydrated, as well as protected. We are looking forward to trying the others, especially the Matte Maniac soon. In 90 seconds, this wonder device will prep, moisturize, and protect your skin. Using the coordinating Foreo App, you begin with a Thermo-Therapy and revitalizing red LED light that smooths and preps your skin to absorb the mask’s full benefits. After 30 seconds, the UFO’s T-Sonic pulsations are added to the heat to help with absorption of the hydrating serum. During the last 30 seconds, the heat gradually decreases and the anti-pollution formula is locked into the skin while the LED gives your skin an instant boost of radiance for an all-day glow. With the UFO, you’ll enjoy three targeted photo facials in one at-home device. The 100 percent waterproof UFO Smart Mask is easy to clean between uses and the included stand (not pictured) keeps your UFO where it belongs when not in use – on display. It is USB-rechargeable, lightweight, portable, and is available in three colors – Fuschia, Mint, and Pearl Pink. Plus every UFO comes with a 10-Year Quality Guarantee and 2-Year Limited Warranty. 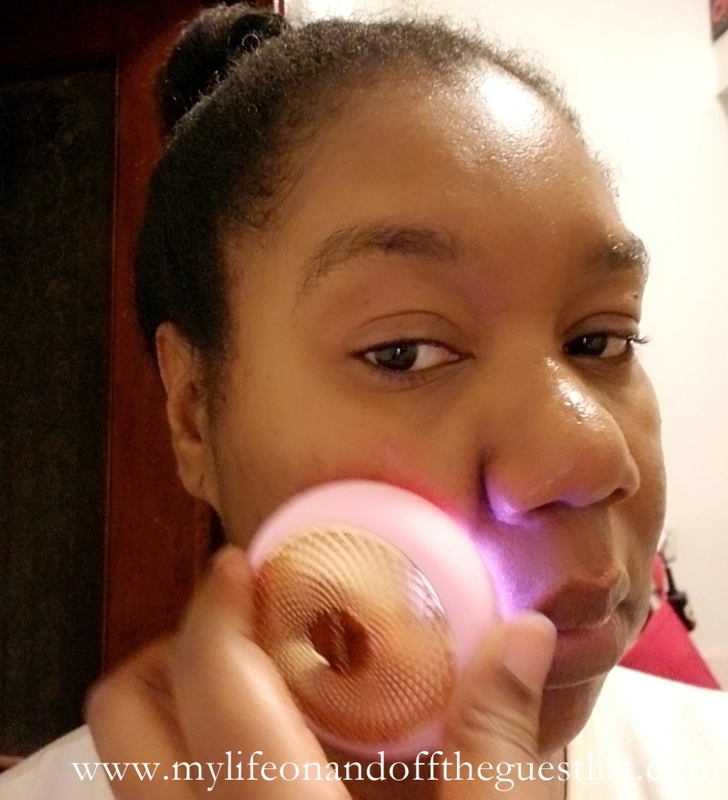 Get your favorite color for $279.00 on www.foreo.com, Sephora retail locations, and www.sephora.com. Do you know how much cocktails cost in a bar or restaurant these days? If you’ve ever eaten out, then you know a night out will cost you a lot per glass. What if you can enjoy bar or restaurant quality cocktails right at home at the touch of a button? Thankfully that “what if” question has become a reality thanks to BIBO The Ultimate Cocktail Machine. The spectacular BIBO Barmaid cocktail machine will give you a great bar and restaurant perfected cocktail in 20 seconds. 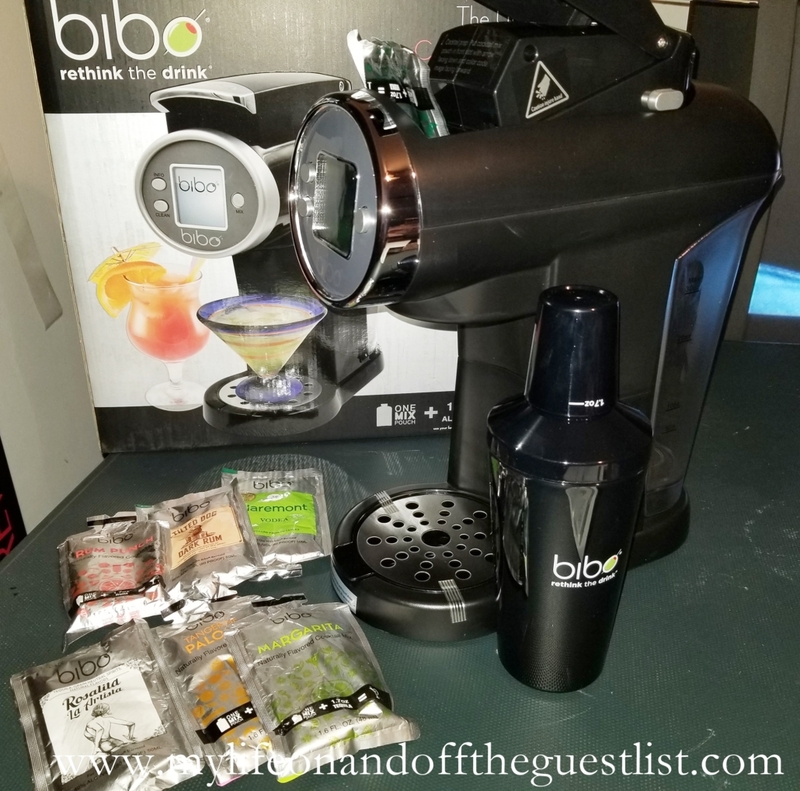 Whether you’re making a cocktail for a night in alone for entertaining guests, the BIBO The Ultimate Cocktail Machine lets you make and enjoy mixologist-crafted cocktails in less time than it takes to place an order at a bar. The minimal counter-space taking home appliance comes equipped with a shaker/shot glass, and three sample Bibo Cocktail mixers made in the USA (ours had the Cucumber Melon Martini, Tangerine Paloma, and Margarita). The Bibo Cocktail Mix Pouches come in a variety of popular cocktail flavors to make your next big party or casual get-together a success. They include Appletini, Cucumber Melon Martini, Margarita, Tangerine Paloma, Mai Tai, and Rum Punch. There’s a delicious cocktail for everyone to enjoy. 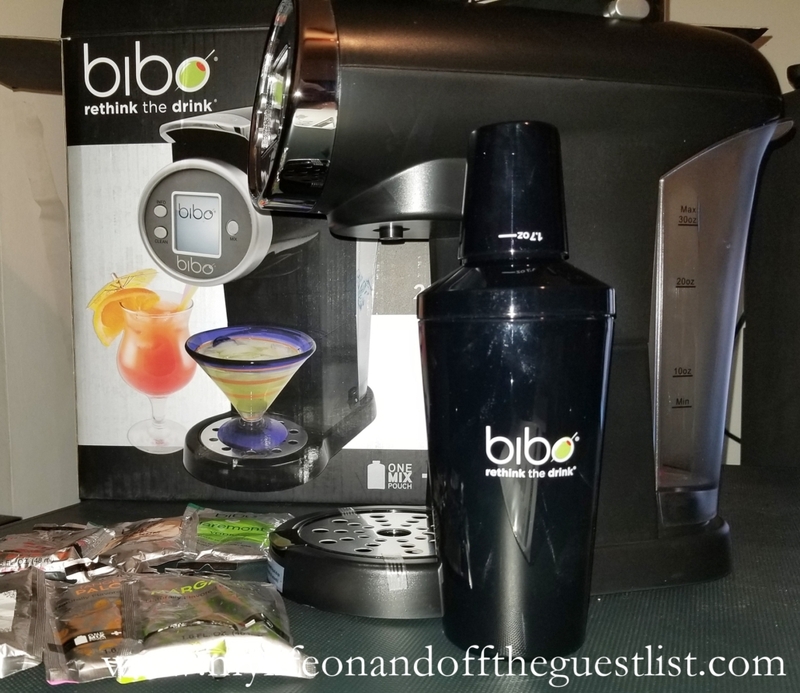 Just slide each Bibo cocktail mix pouch into the machine, and add the appropriate spirit to the mix to enjoy the perfect cocktail every time. Each pouch contains the right amount to make a single cocktail serving. For our first cocktail, we did the Cucumber Melon Martini with Finlandia grapefruit vodka. As we mentioned before, BIBO The Ultimate Cocktail Machine is lightweight and takes a minimal amount of kitchen or bar counter space. 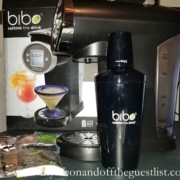 It’s also incredibly easy to clean and can continuously make cocktails as long as you have Bibo Cocktail Mix Pouches on hand. Can you imagine the amount of money you will save in bar tabs? The average cocktail costs around $17 – $20 each and the BIBO The Ultimate Cocktail Machine retails for $199.99. You are sure to get your money’s worth in no time with this amazing machine. To get your own BIBO The Ultimate Cocktail Machine in either black or red, visit www.bibobarmaid.com. 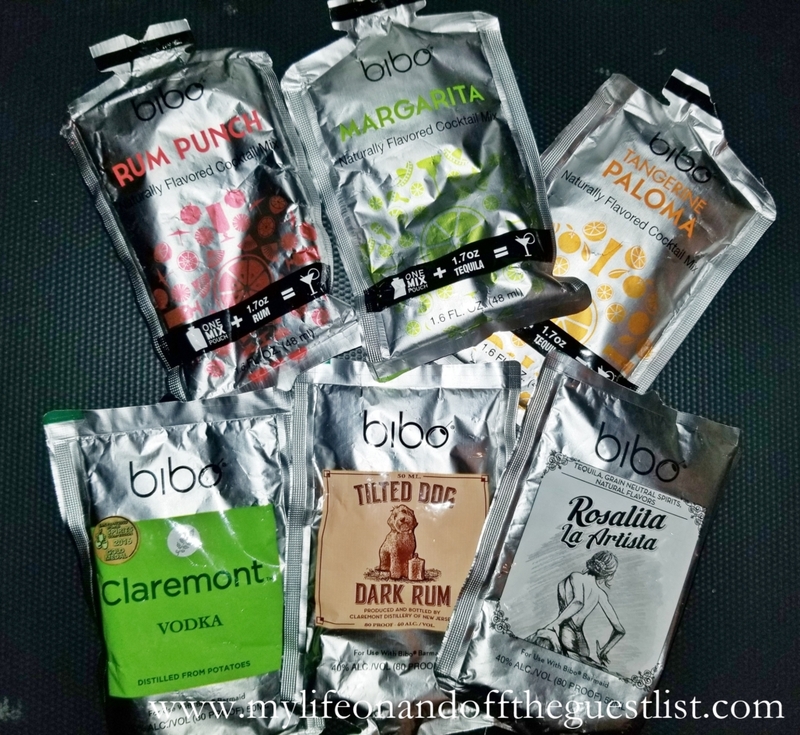 We also recommend getting the Bibo Variety Pack 24-Count Cocktail Mix Pouches, $49.99, to try out all the cocktail mixes. If you’re like us, ironing is not your favorite thing to do. You may find most people hate ironing. We’ve always found steaming our clothes to be a quicker and much more efficient way to get those wrinkles out. Plus there is no way you’ll ever accidentally burn your clothes with a steamer, something we’re guilty of with an iron. But all steamers are not the same, we’ll show you why. There are some that leak, some with a subpar flow of steam, and the ones that burn you. The wonderful steamer we’re highlighting today has none of those issues. 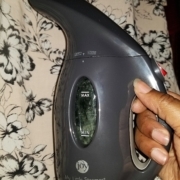 In fact, the JOY Go Mini Steamer by Joy Mangano is the best mini steamers we’ve tried in a very long time. Storage of the JOY Go Mini Steamer is easy thanks to the included zippered bag. It’s great for storing away your mini steamer in your closet, car, or suitcase. Available in a variety of eight colors, you can even color coordinate your mini steamer with your decor. Get it in Black, Bright Teal, Fuchsia, Linen, Purple, Red, Sapphire, or White for only $19.95 on www.hsn.com. 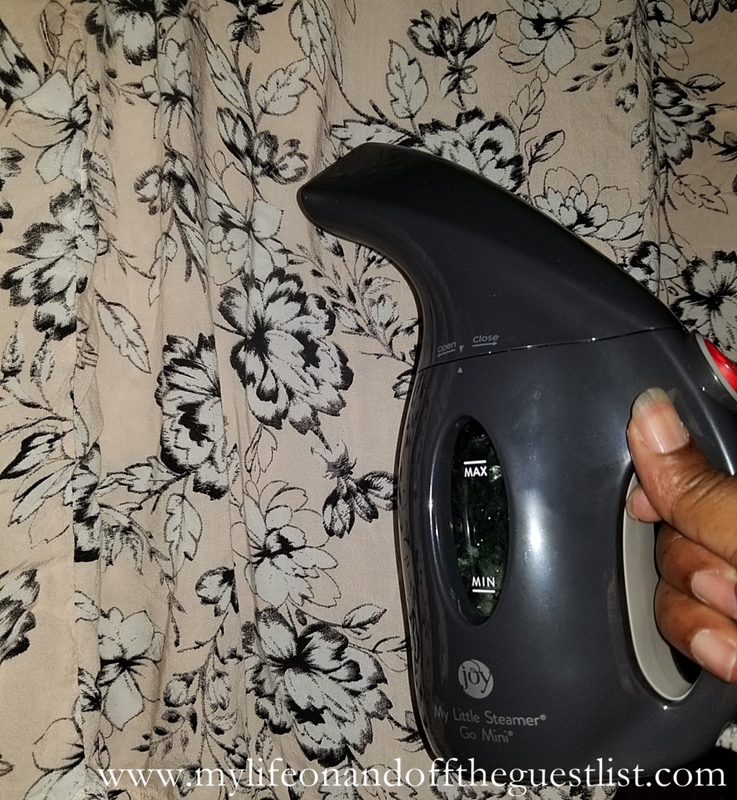 Are you ready to give up your iron for the more efficient steamer? Who knew that the road to better dental care would take us to the historic Intrepid Sea, Air & Space Museum? 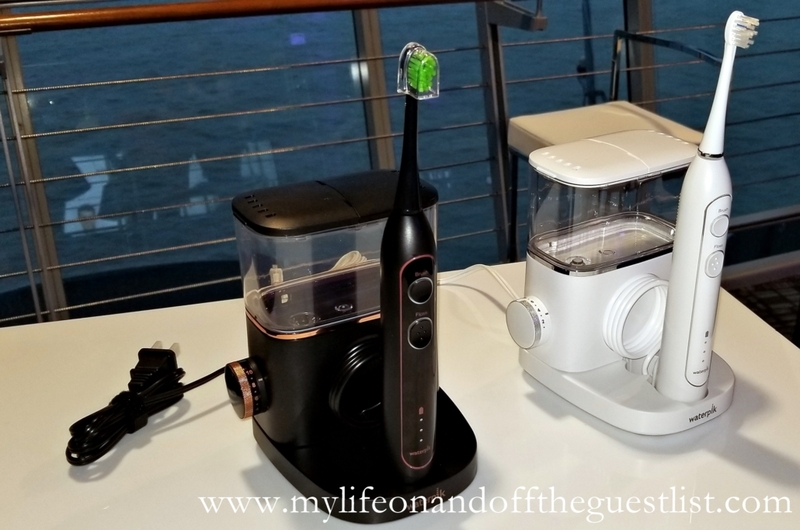 Waterpik hosted a wonderfully informative cocktail event, where guests were introduced to the world’s first and only all-in-one toothbrush and flosser, the Waterpik Sonic-Fusion Toothbrush. Now you can brush AND floss at the same time! That’s right, a flossing toothbrush now exists!! 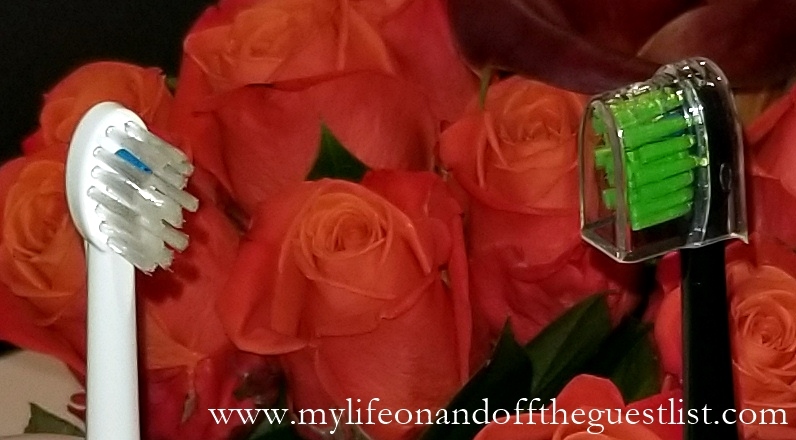 This is a groundbreaking step in oral care and perfect for a woman like me, who is ALWAYS short on time. 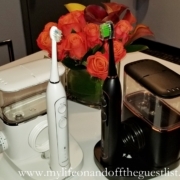 Backed by a beautiful view of the Hudson River from the Intrepid, guests were treated to cocktails and small bites, while reps Kendall Begier and Amy Motta displayed the Waterpik Sonic-Fusion Toothbrush in two colors: Classic (Gloss) White, and (Semi-Matte) Black. 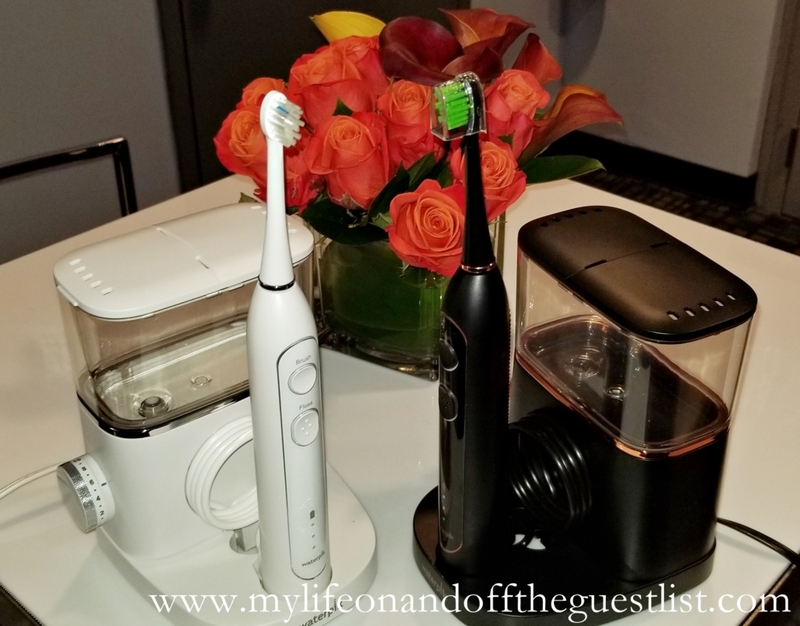 I immediately loved the size – as someone with lots of health and beauty products in my bathroom, and a veteran of small-space living, the Sonic-Fusion leaves a small footprint on your sink surface. Plus, its one-step use and its one-handed mode control for a healthier mouth pack quite a punch. By merging the latest Waterpik Water Flosser and Sonic Toothbrush technologies, Sonic-Fusion enables brushing and flossing at the same time. As the sonic toothbrush head cleans tooth surfaces, the Water Flosser jet inside the brush head targets plaque and debris between teeth and below the gumline where toothbrush bristles can’t reach. This flexible device also allows for brushing and flossing separately, with the touch of a button, and offers three cleaning modes: Brush, Floss, or Brush + Floss for flexibility. Basically, I love this device. I don’t remember having such a polished clean feeling in my mouth without feeling the pain of stringing teeth with floss and sensitive gums. Run out and get one for yourself! Your dentist will love you, and you will love your checkups – you know the part where when your dentist asks you the dreaded question “Have you been flossing regularly?” you can proudly and loudly say, “YES!” You will love this device for many reasons, including advanced water pressure control and 10 settings for custom comfort, a 2-minute brushing timer with a 30-second pacer, a reservoir capacity of 60+ seconds, a premium LED recharge indicator, with two patented Water Flossing brush heads and a deluxe toothbrush case included. The Waterpik Sonic-Fusion Toothbrush retails for $199.99 and comes with a three-year warranty and is accepted by the American Dental Association (ADA). Get your own on www.waterpik.com/sonic-fusion. At one point in our lives, we’ve all had to or tried to learn another language. Let’s face it, it’s very beneficial to be bilingual or multilingual, whether it’s for a job or just to enjoy life more. For many it’s easy to fully immerse yourself into a language and pick it up quickly, for some, it’s a bit of a struggle. What do you do if you’re a part of the latter group and want to travel? 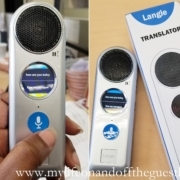 You pick up a Hammacher Schlemmer’s The Live Conversation Speaking Translator, that’s what! 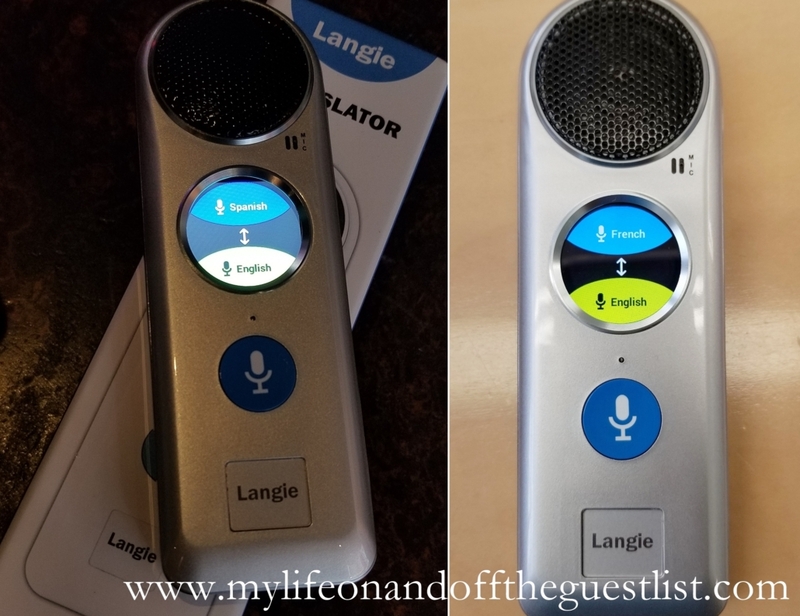 The Hammacher Schlemmer’s The Live Conversation Speaking Translator that provides two-way verbal communication between people that don’t share a common language. Unlike text translators that require one to stop and enter each sentence word for word, one simply talks into this device and it automatically translates the phrase or sentence and “speaks” the translation to the other person. Imagine if you’re traveling and want to eat at a restaurant where English is rarely spoken, with this wonderful travel essential, you can not only order your meal, but also ask questions with ease. Need directions in a foreign country? The Live Conversation Speaking Translator will be the companion that helps you ask the right questions to get you back to where you need to be. This wonder gadget verbally translates 12 languages without requiring internet access including Chinese, French, German, Italian, Japanese, Korean, Russian, and Spanish. When connected to the internet, it verbally translates 21 additional languages including Greek, Hindi, Hungarian, and Polish, and provides text translations for an additional 19 languages. 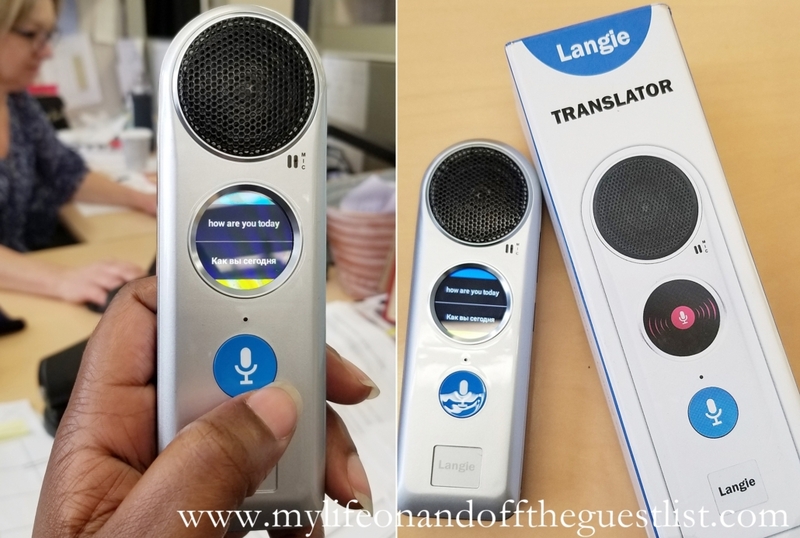 We tried out Hammacher Schlemmer’s The Live Conversation Speaking Translator with a few people we know who spoke Spanish, Turkish, and Russian. The result was always the same…..WOW!! We loved the ease of translating entire sentences instead of singular words and the fact that this brings us all closer together as human beings. You really can have an entire conversation with someone who speaks a foreign language. We do have a few tips to get the best usage out of this revolutionary language translator. When using it, we do advise that you enunciate properly or it may interpret your words as something else. If you are using wifi, make sure the connection is strong as it will help get your translation results quicker. One aspect we truly loved about Hammacher Schlemmer’s The Live Conversation Speaking Translator is the fact that you can save phrases you’ve already used for quicker use later. This helps a lot if you are in a bad wifi spot or are pressed for time. We highly recommend this tech device if you are travelling, you will end up having an event better time. Could this device help you with your travels? Tell us what you think of it. Hammacher Schlemmer’s The Live Conversation Speaking Translator is available from now for $349.95 on www.hammacher.com. We’ve been known to complain about our chubby fingers, mainly while experiencing mishaps when trying to text or respond to emails on the small keyboard of our smartphones.It was difficult to not make mistakes when the phone’s keyboard keys are so close together and your fingertips are on the large side. Luckily we found an answer to that problem in the Logitech Keys-to-Go Portable Keyboard, the giftable tech accessory we highlighted in our 2017 holiday gift guide. Then this must-have gadget came in three universal colors – red, blue, and black but a new year means new colors. 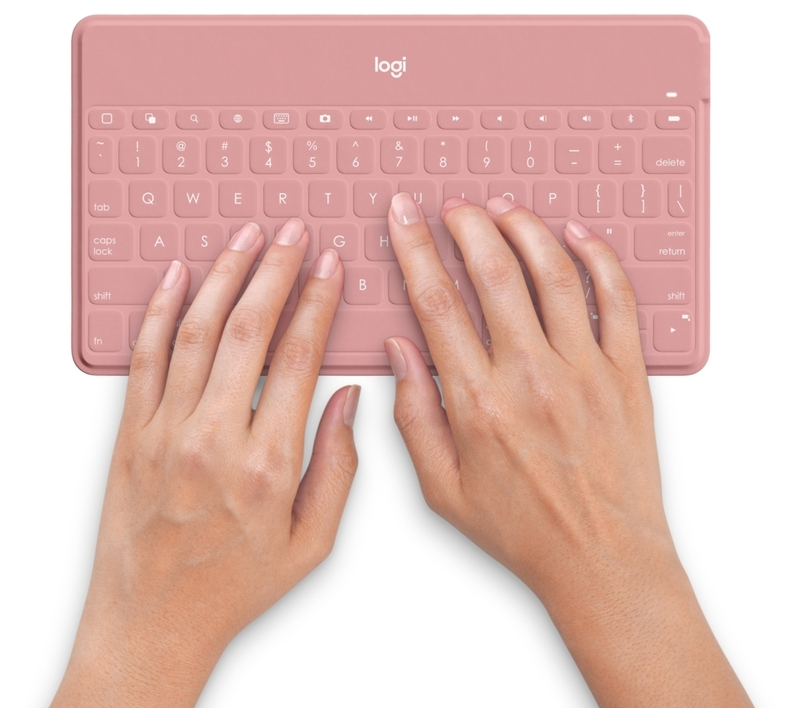 Logitech Keys-To-Go has expanded its color palette with three new colors just in time for the spring and summer seasons. This new collection of trendy colors, Stone, Blush, and Smokey Blue, is available so you can upgrade your style game and take your Keys-To-Go wherever you go. Being the pink fanatic that we are, of course, we’re head over heels in love with the Blush. Which one is your favorite color? Enjoy the comfort of a full keyboard with this ultra-portable, stand-alone keyboard and say goodbye to texting mishaps. 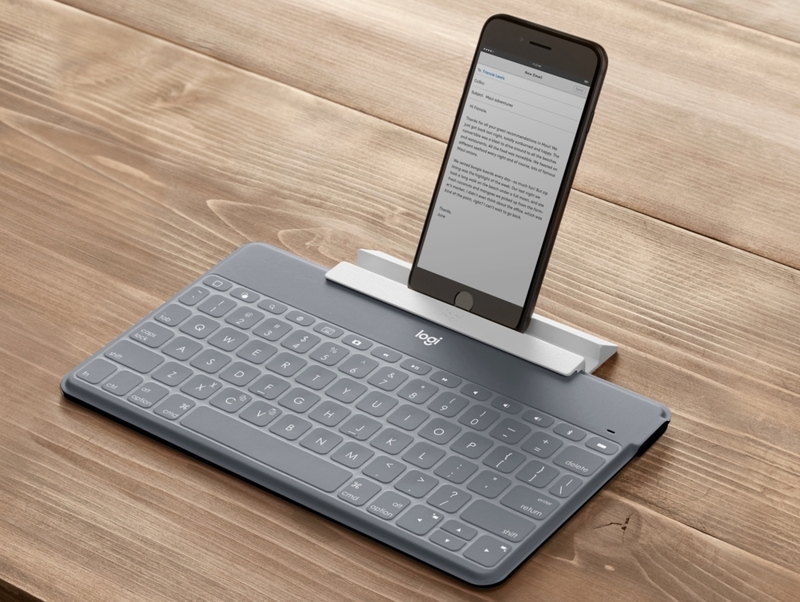 The Keys-To-Go comes with an iPhone stand and is perfect for all of your Apple devices – iPhone, iPad or Apple TV. Don’t worry non-iOS users, it is also compatible with other Bluetooth devices including Android and Windows devices. Logitech kept all the features that made Keys-To-Go a must-have gadget – it’s still ultra-slim, ultra-lightweight, super portable and easy to tuck into your purse, backpack or suitcase. 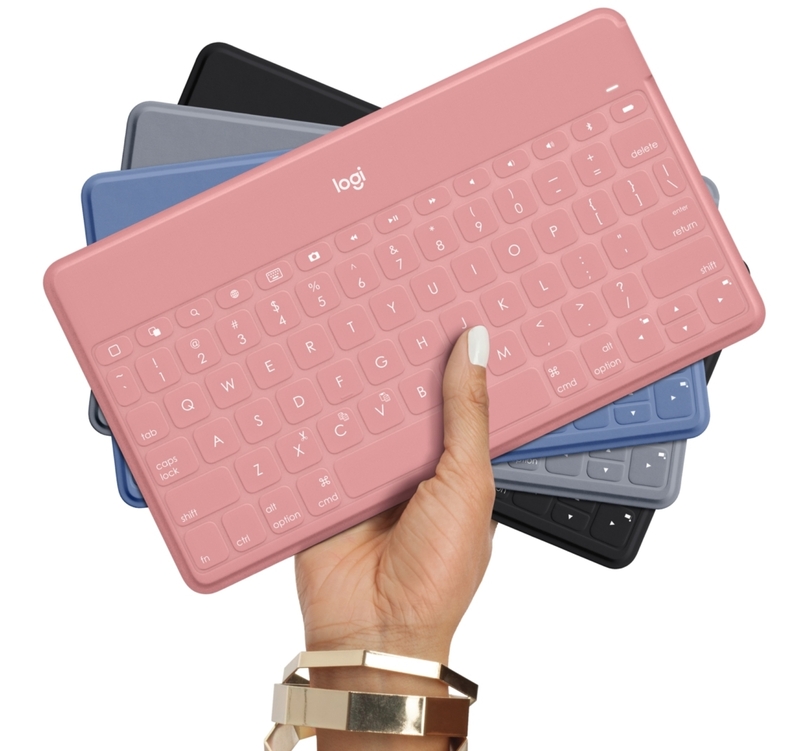 You will also love the Logitech Keys-To-Go’s durable covering. It is smooth to type on, spill proof and easy to clean, protecting your keyboard from spills, crumbs, and dirt. Keys-To-Go provides comfortable, silent and laptop-like typing so you can break free and do what you need to do on any size screen, whenever and wherever you are. Get a closer look at the three new color options, decide which one you would love to which one would you celebrate the season with? 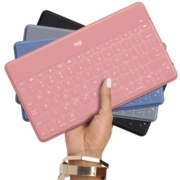 The new Logitech Keys-To-Go colors are available now for $69.99 on www.Logitech.com.